Christopher Schlottmann and Jeff Sebo. Food, Animals, and the Environment: An Ethical Approach. Routledge, 2018. 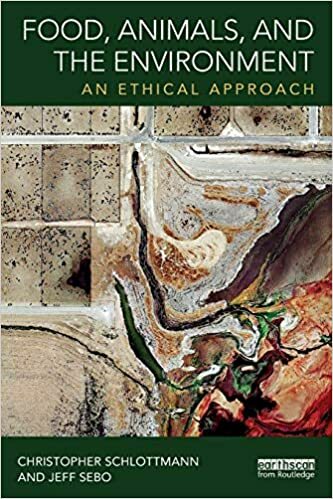 Schlottman and Sebo have produced an utterly superb analysis of the ethics of eating animals, brilliantly distinguished by crystal-clear thinking, accessible writing, and plenty of insight into values and sources of bias. Every eater will have much to learn from this book. The book goes from theory to practice and takes on all of the tough ethical issues involved in food production, food consumption, and food activism (legal and illegal). We designed this book to provide readers with both the critical thinking tools and basic concepts and information necessary to analyze the many challenges and values concerning food, animals, and the environment. This includes explaining how to make clear and consistent arguments, how to assess the relationship between facts and values, how to assess the relationship between theory and practice, and how to think rigorously and systematically about the empirical impacts of food systems and the ethical questions that these impacts raise. This is exactly what this book does. Whether or not you choose to eat animal foods (and I do), the environmental, health, and moral issues raised by animal agriculture deserve serious discussion. They get that discussion here. Jonathan K. Crane. 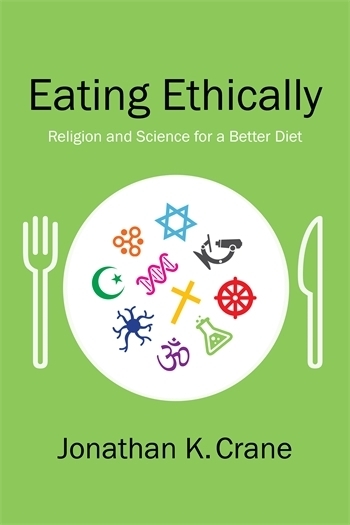 Eating Ethically: Religion and Science for a Better Diet. Columbia University Press, 2017. This entertaining and provocative book draws on biblical and philosophical sources to argue that eating is an act of ethics, and that we would all be happier and healthier if we adhered to the Bible’s dietary advice—eat enough, but not too much. Anyone interested in food will be fascinated by the stories Jonathan Crane tells here. I call this kind of discussion eating ethics. Its ethics are not confined to philosophical schools of consequentialism (where the ends justify the means) or deontology (where an act is moral to the degree it complies with a preconceived duty or principle). Rather, its ethics lie in the truth that eating is in and of itself an ethical enterprise, no matter how one thinks about it. Just as eating is an inherently ethical enterprise, food itself is similarly an ethical construct: it is socially defined and defining, as demonstrated by conversation in dietetics…it directly impacts me the eater and the eaten, not to mention the contexts in which this eating occurs, inclusive of humans, other sentient creatures, the environment, and more, as food ethics readily explains. For all of these reasons, how and why we eat are two of the most urgent and pressing ethical enterprises of our very existence, and they lie daily in our own hands and mouths. This would be extremely useful for undergraduate courses in food ethics or contemporary food issues. It would work well in courses on contemporary issues in food systems. The topics are excellent. OK, I’m biased. It has two pieces from me in it, one an update on the report of the Pew Commission on Industrial Food Animal Production, which came out in 2008 (I was on that committee), and the other an excerpt from the 2007 edition of Food Politics. It has loads of interesting excerpts from the work of lots of other people writing about food and ethics from different perspectives. I really do think it would be fun to use this in a food ethics course or to read if you are just interested in what people are thinking about food ethics . Terence Cuneo, Andrew Chignell, Matthew C. Halteman, editors. 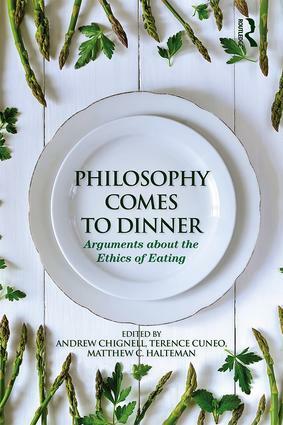 Philosophy Comes to Dinner: Arguments over the Ethics of Eating. Routledge, 2015. I was happy to do a blurb for this book, having met Andrew Chignell and participated in an online course he ran at Cornell based on the book. 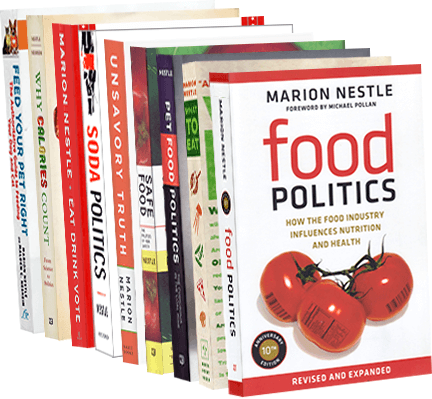 In recent years, I’ve seen an explosion of student and public interest in the politics and ethics of food. It’s great to have philosophers contributing to this discussion, and this book explains why. When thoughtful people differ about issues in food and nutrition, it isn’t always easy to decide what the right thing is to do. Philosophers have ways of looking at controversial issues that help with such decisions. This book lays out some typical arguments and explains how the major philosophical frameworks can help sharpen the discussion. Despite my long interest in and dubious opinion about the benefits of Golden Rice (genetically modified to contain the beta-carotene precursor of vitamin A), I somehow completely missed the huge and highly embarrassing uproar over a study demonstrating the effectiveness of this rice in raising vitamin A levels in young children. This particular uproar began with publication of the study in the American Journal of Clinical Nutrition in 2012. Last week the journal announced that it has retracted the study—on ethical, not scientific, grounds. To explain: Dr. Guangwen Tang, a long-time researcher at Tufts University, and her colleagues at Tufts, in China, and at Baylor and the NIH, compared the effectiveness of vitamin A capsules, Golden Rice, and spinach in raising vitamin A levels in the blood of Chinese schoolchildren. They reported that Golden Rice proved just as effective as capsules, and somewhat better than spinach, in inducing higher vitamin A levels, just as it is supposed to do. Golden Rice, of course, is the poster child for the benefits of GMOs, extolled by many as the solution to the developing world’s high prevalence of vitamin A deficiency (I’m dubious because I view vitamin A deficiency as a social problem requiring policy and cultural shifts). none of the children, their parents or school teachers was aware that Golden Rice was involved, according to a 45-minute investigative news programme broadcast on 8 December on CCTV, China’s state television channel. The informed-consent form said that the rice contained β-carotene, but not that it was genetically modified or that it was Golden Rice. Nor did it highlight uncertainty around any potential risks of ingesting such rice…Moreover, Wang didn’t apply for ethical evaluation of the trial, instead fabricating the approval documents, according to CDC. And Tang brought Golden Rice from the United States to China illegally, without due declaration to the relevant Chinese authorities, it said. the study was not “conducted in full compliance with … policy or federal regulations”… the researchers did not adequately explain the nature of golden rice and made some changes in the study without getting approval from the committee at Tufts that is supposed to review all research involving human subjects. Guangwen Tang will be banned from conducting research on human subjects for two years. For two years after that, any research that she conducts will be under the direct supervision of another investigator. U.S. guidelines stipulate that such forms use plain language understandable to lay people, and the IRB [the Tufts Institutional Review Board] agreed to let Tang say that “Golden Rice is a new rice which makes beta-carotene,” without using the loaded words “genetically modified.” (The consent form for a very similar study by Tang among adults in Boston, published in 2009, didn’t use that term either.) Given the sensitivities over transgenic food, which existed in China as well, that was the wrong decision, according to the external panel. ASN twice asked Tang and her six co-authors to withdraw the paper voluntarily, which they declined to do. The society recently decided to retract the paper on its own…but it has agreed to a 90-day stay after Tang filed her lawsuit, to see if the matter can be settled out of court. In a ruling by the Massachusetts Superior Court, Judge Salinger…cleared the way for the American Society for Nutrition (ASN) to retract the article “β-Carotene in Golden Rice is as good as β-carotene in oil at providing vitamin A to children”…ASN is very pleased that the Massachusetts courts have upheld the organization’s First Amendment rights and have allowed ASN to move forward with the retraction of the article. The authors are unable to provide sufficient evidence that the study had been reviewed and approved by a local ethics committee in China in a manner fully consistent with NIH guidelines…. The authors are unable to substantiate through documentary evidence that all parents or children involved in the study were provided with the full consent form for the study. Specific eligibility issues were identified in regard to 2 subjects in the study. No questions were raised about the integrity of the study data, accuracy of the research results or safety of the research subjects…Tufts University has always been and remains deeply committed to the highest ethical and scientific standards in research. In September 2012, w …convened an external review committee to interview those involved and to review documentation of the study…There was no evidence found of falsification or fabrication of the data that underlie the study’s primary findings. Those reviews did, however, determine that the research had not been conducted in full compliance with Tufts research policies and federal research regulations. The retraction is a huge embarrassment, not only for the researchers involved but also for Tufts University’s Friedman School of Nutrition Science and Policy, Tufts’ Institutional Review Board, the American Journal of Clinical Nutrition, and the American Society for Clinical Nutrition. The study was funded by NIH, USDA, as well as a program in China. NIH takes research ethics very seriously and expects the researchers it funds to adhere to the highest possible standards for research on human subjects. Because the study did not follow standard ethical guidelines, especially with regard to research on children, Tufts had no choice but to investigate and impose sanctions, and the journal had no choice but to retract the paper. This case reinforces my views about GMOs in general and Golden Rice in particular. The controversies are not (or not usually) about the science. They are very much about ethics and other questions of values. Paul Thompson. 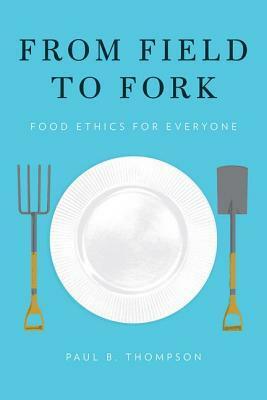 From Field to Fork: Food Ethics for Everyone. Oxford University Press, 2015. From Field to Fork makes it clear that every food choice has ethical implications and that sorting out these implications from the science and politics of food is anything but simple. The ethical issues discussed in this book are fascinatingly complex and deserve the serious debates they are sure to stimulate. If ever a book provided food for thought, it’s this one. I was riveted by an article in today’s New York Times about the latest decision of an FDA drug advisory panel. The benefits are worth a look. People taking the drug lost an average of 5.8% of their body weight in a year, compared to 2.5% for people taking a placebo. This difference is below the FDA’s standard for approval which requires a 5% difference. Among those taking the drug, 47% lost at least 5 percent of their weight after a year, whereas only 23% of those taking the placebo did so. This meets a second FDA standard for approval. Causes tumors in rats (although perhaps at higher doses than might be taken by people). Damages heart valves (in the same way the withdrawn drug, Fen-Phen, did). Also in the Times is a piece by Dr. Danielle Ofri on her experience with patients who want weight-loss drugs. She quotes from an essay called “Lemons for Obesity” by Dr. Michael S. Lauer, who was a minority voter on the FDA panel that approved the weight-loss drug Qnexa earlier this year. The weight-loss field is strewn with lemons, more so than other areas of medicine, Dr. Lauer argues. Because of the enormous potential market for these drugs — two-thirds of American adults are overweight or obese — pharmaceutical companies rush new drugs to market after conducting only small clinical trials. The F.D.A. and doctors are complicit in the process, Dr. Lauer says, leaving the population at large to act essentially as guinea pigs. People who cannot easily lose weight are desperate for help. But is it ethical to put them at this kind of risk? The ethics of meat-eating: A feminist issue? So today we announce a nationwide contest for the omnivorous readers of The New York Times. We invite you to make the strongest possible case for this most basic of daily practices. We have assembled a veritable murderer’s row of judges — some of the most influential thinkers to question or condemn the eating of meat: Peter Singer, Michael Pollan, Mark Bittman, Jonathan Safran Foer and Andrew Light. Jonathan Safran Foer’s critique of Pollan in Eating Animals. I also had them read a scientific paper on the nutritional benefits of adding meat to the diets of children in developing countries (Whaley et al. J Nutrition 2003;133: 3965s–3971s). Discussions, to say the least, were lively. As for the other two: Mark Bittman writes eloquently about ethical issues in food choice for the New York Times. Although I am not familiar with the work of Andrew Light, a quick Google search reveals that he writes about the ethics of climate policy. All happen to be white men. Here’s the crux of the problem, our culture is heavily invested in the identification of meat eating with manliness…. How could an intelligent woman miss the fact that her own panel of “ethicists” is male-dominated and that such a choice is, itself, an ethical issue? When I asked why all the judges were male, Kaminer replied that she couldn’t find one female expert in food ethics with a fraction of the name recognition of the men. She argued that the famous male judges would bring far more attention to the contest, and in turn get more people to consider the ethics of meat eating. Full disclosure: Michele puts me first in her list of ten women who should have been considered. You can see why I am amused, no? If you want to enter this contest—and please do!—send written entries of no more than 600 words to ethicist@nytimes.com. Entries are due by April 8.